In October 2016, President Barack Obama issued a Presidential Memorandum on Promoting Diversity and Inclusion in the National Security Workforce. The memorandum instructs the federal agencies engaged in diplomacy and national security activities—which include all branches of the U.S. military; the U.S. departments of State, Justice, and Homeland Security; the U.S. Agency for International Development, or USAID; and the U.S. intelligence community—to promote a more inclusive work environment and to adopt measures to facilitate more transparent and comprehensive data collection on the diversity of their employees. The president’s memorandum was a welcome and important development. According to the memorandum, existing data on the country’s national security personnel suggest that they are less diverse than the federal workforce as a whole, with the exception of the State Department and USAID Civil Service. 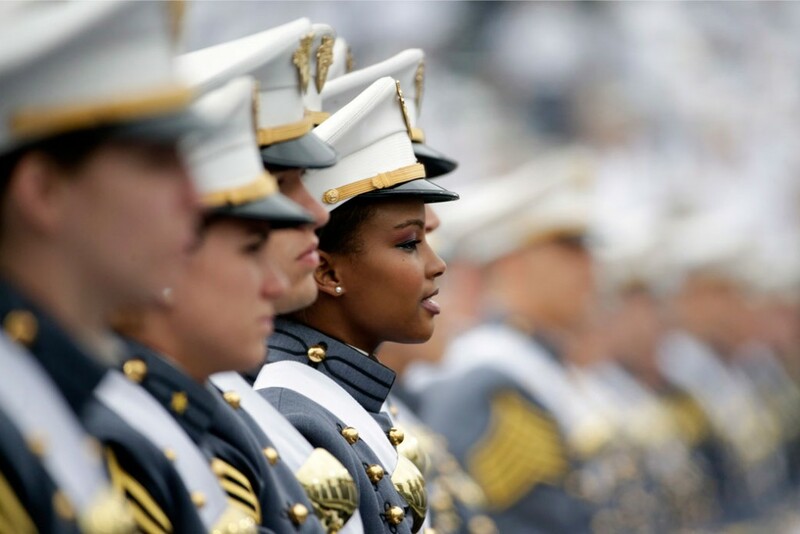 This lack of diversity is especially visible among senior-level employees: Every federal agency with a national security or diplomatic function has a smaller percentage of women in leadership roles compared with nonleadership positions, and all but USAID’s Civil Service and the U.S. Department of Defense’s enlisted personnel have less diverse leadership when looking at race and ethnicity. While it is unclear how the next administration will approach diversity and inclusion within the national security workforce, the issues and actions outlined in the memorandum remain vitally important. Policies that increase inclusivity not only create a more diverse workforce that represents the full spectrum of American people and values, but they also improve national security in the long run. As such, the agencies named in the memorandum should still work to implement these directives. Federal employees should reflect the talent and experience of the entire country. The national security workforce is no exception. The people responsible for keeping the nation safe and securing U.S. interests abroad are—to a greater extent than any other segment of the federal workforce—more likely to engage with officials and citizens of foreign countries and to represent the United States in both public and private settings. Every day, they serve as America’s face to the world. It is therefore critical that they also represent the nation’s commitment to democratic values such as pluralism, equal opportunity, and inclusion. The more the national security workforce reflects America, the more effectively it can advance American values on a global stage. A broad and heterogeneous range of state and nonstate actors increasingly shape the global environment. In order to achieve U.S. policy objectives in such an environment, foreign policy and national security professionals must have creative problem-solving skills and the ability to build consensus, anticipate alternative viewpoints, and adapt to constantly shifting circumstances. These are all qualities that are more likely to be found in organizations characterized by a wide spectrum of backgrounds and experiences. As research has demonstrated, groups with a high level of diversity make better decisions and operate more innovatively than those with homogenous membership. In addition, a diverse workforce facilitates recruitment from a large cross section of American society, which broadens the talent pool. The advantages of a diverse and inclusive workforce are not confined to civilian employees. They also extend to the military, which is increasingly engaged in peacebuilding and political and economic reconstruction activities in countries ranging from Colombia to Afghanistan to the Philippines. As a recent white paper from the U.S. Army Combined Arms Center observed, the military’s “diverse strategic interests around the globe require its Soldiers and leaders to be comfortable and effective working in a variety of cultural contexts … to be able to effectively interact with and influence people from diverse locations and cultures.” Similarly, in a 2012 amicus brief before the U.S. Supreme Court, more than 30 retired senior military officers—including former Secretary of State Colin Powell; Gen. John Abizaid, former commander of United States Central Command; and former chairmen of the joint chiefs of staff—described “a highly qualified and racially diverse officer corps” as “mission critical” and a vital national security interest. The tremendous advances toward inclusion of lesbian, gay, bisexual, and transgender, or LGBT, people in the military have already demonstrated the advantages of a more diverse national security workforce. These advances include the 2010 repeal of “don’t ask, don’t tell”; the Defense Department’s 2015 expansion of its equal opportunity program “to protect service members against discrimination because of sexual orientation”; and the Pentagon’s decision to lift the ban on transgender military service in the summer of 2016. The demographics of the U.S. population are rapidly changing. According to U.S. Census Bureau estimates, people of color will represent the majority of the nation by the year 2044. To continue to promote diversity and inclusion in the national security workforce, agencies must regularly collect data on the demographic makeup of their employees in order to first assess and later recruit and retain a more diverse workforce. The various national security agencies outlined in the presidential memorandum should also form committees to review the areas of employment where the data indicate that people of color are underrepresented. These committees should examine why this is and develop strategies for how their respective agencies can foster greater diversity within their ranks. These strategies should include expanding recruitment beyond the channels they have historically used, for instance, by reaching out to more minority-serving institutions of higher education. Once these agencies implement strategies to increase diversity and inclusion, they must develop metrics to consistently track the success or failure of these strategies in order to find which ones foster greater diversity and inclusion. Agencies should also promote LGBT inclusion in their external advisory committees and boards. Promoting diversity in these committees will improve their approach to problems by including members with different points of view. In addition, participation in these committees is a measure of who benefits from some of the opportunities for career advancement. While it is important to expand LGBT inclusion in the national security workforce, it is also critical to ensure protections for LGBT employees who choose to disclose their sexual orientation or gender identity. Such disclosures, for instance, should not restrict the assignments open to LGBT employees. President Obama’s memorandum includes a directive to institute a review process for security and counterintelligence determinations that result in assignment restrictions. This process should be strengthened to prevent assignment restrictions against LGBT employees. To this end, the Department of State should develop clear and accountable country-specific diplomatic strategies aimed at significantly reducing the number of foreign governments that deny visas to LGBT employees and their families. These strategies should engage, as appropriate, senior-level officials in foreign affairs agencies and include a review of country programs and interests that might be affected should host countries refuse to honor visa requests on behalf of LGBT personnel. A diverse and inclusive workforce is imperative not only to fully represent the United States’ people and values but also to improve the country’s national security. As such, the incoming administration should ensure that the federal workforce, including the national security workforce, reflects the diversity of the American people and the tolerance and openness of American society. Trevor Sutton is a Fellow with the National Security and International Policy team at the Center for American Progress. Carolyn Kenney is a Research Associate with the National Security and International Policy team at the Center.